Acting as two unique restaurants the grill section of the restaurant features a relaxed and friendly setting with dishes including New Zealand Red Snapper, lamb T-bone, whole brick pressed Cornish chicken, dry aged 30 oz. bone-in beef rib eye and spotted dog. 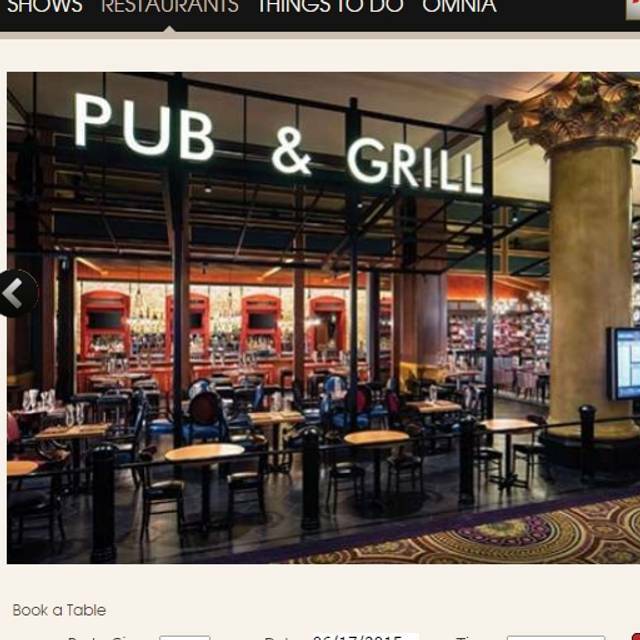 The pub features elevated British pub food in a comfortable and lively setting showing sporting events from across the world on state of the art entertainment systems. The pub includes 36 beers served on tap plus 24 bottled beers. With an eye towards dishes that pair well with beer the pub menu includes English ale onion soup, shepherd’s pie, and a selection of sausages, fried egg sandwiches and the classic pub fish and chips. 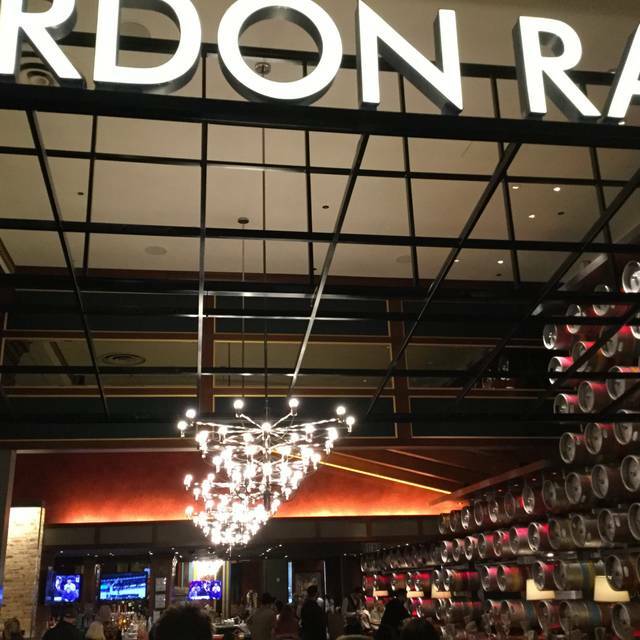 The food was awesome- which is no surprise given that it is Gordon Ramsay’s “kitchen”. The service was very warm too and our waiter Joe was very attentive despite serving many tables at once. I've been here a few times so I get ti try many dishes, I have yet to have a bad experience. A def must try! We love this place and the food is always great. However, we laugh every time at how ditzy the eye candy hostesses are. It would take all 4 of them to change a light bulb. They act like they are trying to figure out how to negotiate peace in the Middle East when seating a party of two. Beef Wellington was good, as usual. However, service was terrible. Had to wait over 30 minutes from ordering for food to be delivered to our table. Server did not keep us updated on the status of our order. Everytime she passed our table she conveniently looked the other way. It was only after we asked where our order was that she said she had just checked and we were the second ticket up. Don't think this would pass the Gordon Ramsay test. 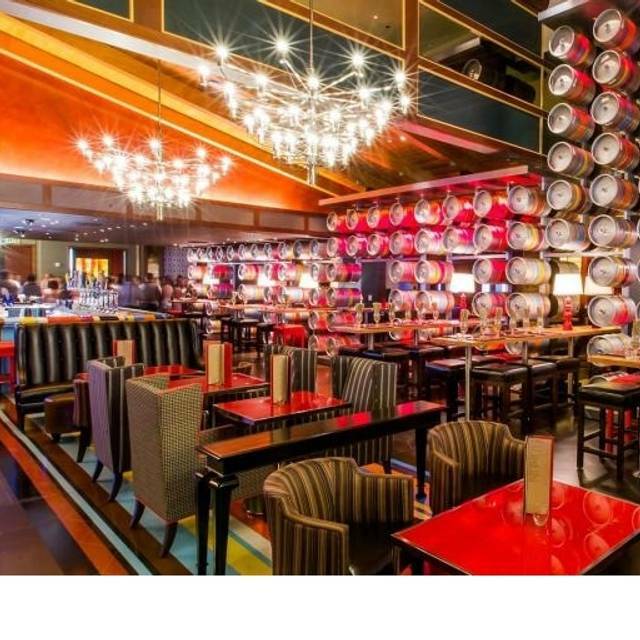 Great place to try Ramsay’s famous dishes. Did not disappoint! I booked a table and we were seated in less than 5 minutes. The staff is very friendly and they obviously know what they're doing. 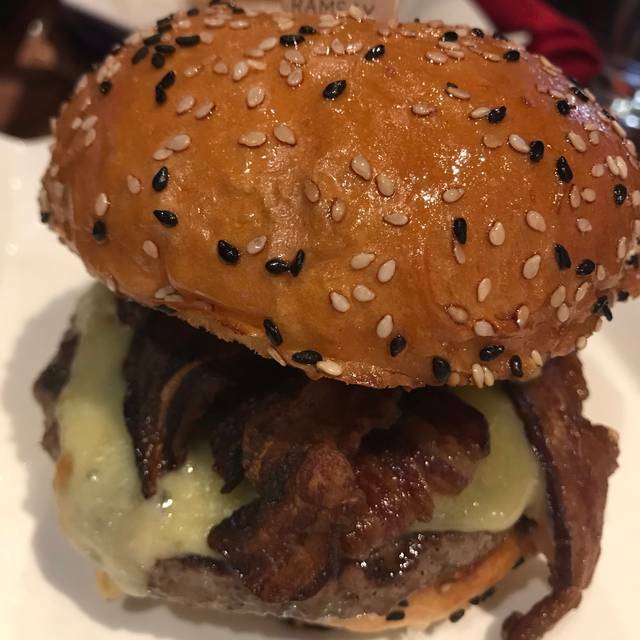 The food is delicious, we ordered the burger bites to share and it was amazing. It's a bit pricey but you pay for the quality of the food. The service was at a nice pace, not too fast but not too slow either. The decor is very nice and you forget for a moment you're right in the middle of a casino. The noise was a bit too much, but of course for a restaurant with such a reputation like this this is something you have to expect. I loved it and will definitely come back next time I'm in Vegas ! Excellent food and service!!! Loved the burger and the Mac and cheese! Went to lunch at the pub got the beef Wellington and the nachos everything was tasty and even got a souvenir! Food was very good , however service was very slow ! We were waiting quite a while for our drinks to come out and were waiting on food for around 45 mins - we weren’t told prior there would be a long wait. People came in well after us and had food before us! We also had to ask for the bill 3 times . Disappointing considering who’s name is above the door ! I had the butter chicken curry and the saffron rice tasted like bleach. Could not eat. It was very loud and not worth the $. 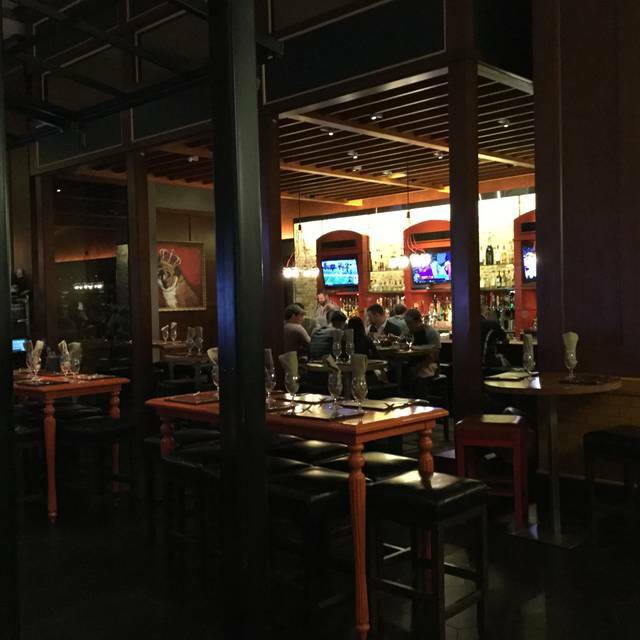 The server was amazing, very knowledgeable and smooth. The food was heavenly! Filet Wellington was served on ice cold plate which made everything lukewarm and the potatoes cold. Wasn’t impressed. Sits right off casino floor and is not closed off so you can see casino and people traffic. Place was empty when we were there. Nothing special. I doubt it will be opened much longer. Surprised G.Ramsey has his name on this one. Changed the menu. Service was slow took 45 min for our food to arrive, others sat after and got main course before our party. By the time we got our food a couple who arrived after us by 20 min was almost done eating. Food taste was good but the Lamb burger was not on the menu anymore and was very good last time we ate there. I suggest the tasting menu of scallop and beef Wellington. We were very disappointed. The food was not very good. The same lacked flavor and was over cooked. The kale salad was requested without onions and it had onions. Utensils were taken away and when our food was served and had to get up and ask the hostess for utensils. Our waiter never came by to see if we needed anything and I would have loved salt and pepper or neon for my salmon to try and make it edible. The food was creative and presented nicely. However, we were a group of 4 and were seated at 2 round tables pushed together along the perimeter so it was impossible to enjoy a conversation with both of our guests. The set up was awkward. It would have been fine if we were only 2. My husband and I came here after a long week of working the booth at a convention and I was eager for some good food. My husband ordered the Beef Wellington and is still raving about it. I ordered the Fish and Chips and was less enthusiastic about my dinner. Funny if you watch the show, but my chips begged for salt and there was none to be found - anywhere. Not on the tables - no where. Our waiter had decided to take a long walk somewhere because there was no one to flag down and ask so faced with the decision of warm unsalted chips or cold salted chips, I opted for warm. I will say the fish itself was very good - not greasy and fried just right. I'm giving this a 3-star review because seriously - fries/chips should be easy to get right based on the complexity of other dishes there. The women at the desk when we arrived were not friendly at all, also we were still eating our starter and the waiter came out with the mains didn't say anything and basically just put the mains on the table , this is not good service he didn't offer to take the plates then I had to call a dif waiter! Food was nice! Service was very good. Short rib nachos were excellent! Ordered the Beef Wellington and was told it was only served medium rare- but it came way overdone. 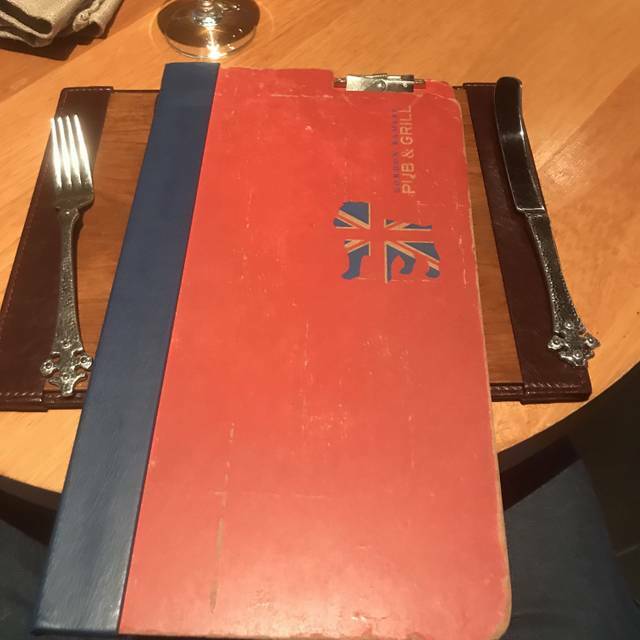 Mentioned it to the waiter and he took it off the bill - so the issue was handled properly - but I would have preferred a properly cooked meal I could enjoy. Food was good. Ordered prime rib and came to my table in about 5min. It was good but I have had just as good, if not better at other restaurants and not paid over $50.00 for it. You're definitely paying for the Gordon Ramsey brand. We had a 6pm reservation but arrived at 5pm, they took us with no problem and even let me change tables once. Very nice looking place. Food was so fresh and fabulous. We've had 3 meals here. The burger is really good. I like the atmosphere, especially when the restaurant is full. The sticky toffee pudding is a really great dessert too! A very loud pub atmosphere, which was fine but not great. When we arrived, the hostesses did not bother to check off the reservation with open table. We tried to order beers and two were not available. We ordered food and they came back to say that two of the four entrees we ordered were not available because the gas was out in the kitchen. Our waiter was very proactive and apologetic. He was the best part of the experience. Under better circumstances, the restaurant would likely get a little better rating. Food is good, though not spectacular. Prices are high considering that the offers are pub grub. Cocktails are watered-down; best to stick to wine and beer here. Food was better than expected. Had a friendly server and good time. Can’t complain. I cook a really good ribeye so I don’t normally get it because it’s usually not as good as mine. That being said, the ribeye at this restaurant was probably the best I’ve ever had. Seasoned perfect, tender, with an amazing sauce. 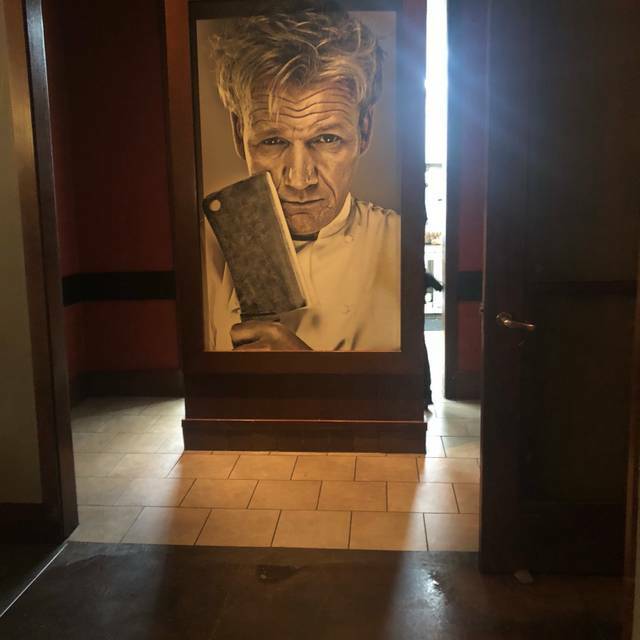 Was very excited to try a Gordon Ramsey restaurant and while it was good I was not blown away. 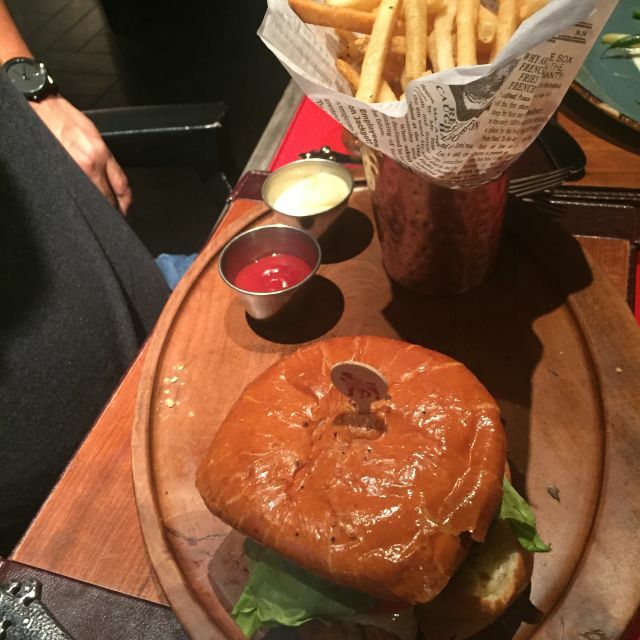 I had a burger and it was cooked perfectly but lacked flavor. My friend had fish and chips and the fries were soggy and underdone. Fish was just okay. First the wait was fine,place was clean. The food was average, the portion were very small. Chilli s or apple bees would s be the comparison on the food. A $25.00 dollar burger and fries was over priced. For a 11 year old kid. No kids menu and again very small portions. Next time well go to buffet. My kids really wanted to try this place from seeing Gordon on tv. They both really enjoyed the burger. My husband got the fish and chips and I went with the short ribs. All the food was super salty to us. It was good but not over the top the best we have ever had. I think they want you to order the beef Wellington but none of like mushrooms so that ruled that out. Based on price I’m not sure I could justify that much for Wellington. 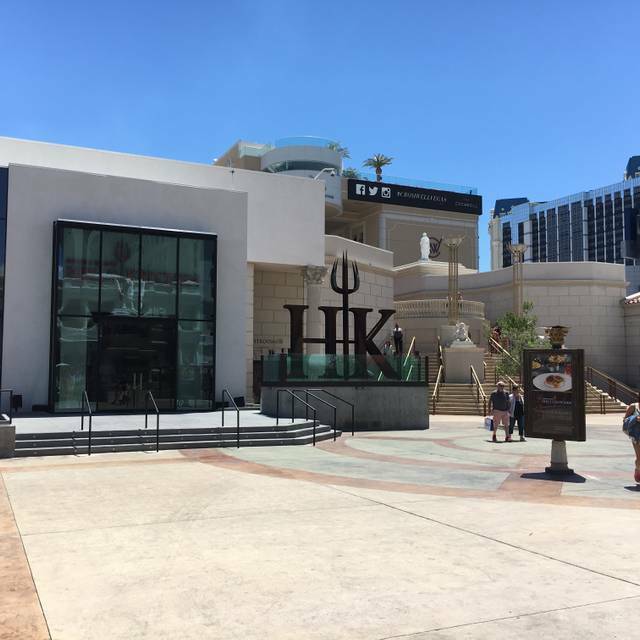 I realize everything on the strip is over the top expensive and this place was no exception. Bottom Line good but not great. We also had a pleasant and efficient server. Over priced for Pub Food. Food was just okay. We both got the fiah and chips and fries were soogy and flat. Not what Gordon demonstrates on his TV shows. We both were sick (digestive problem) the next morning. Best restaurant I’ve ever been to in my whole life!!! Lisa was an excellent server and waitress! The food was superb I had the soft shell crab absolutely my favorite! My wife and I both enjoyed the food and experience, the only downside was the mushy peas ... way too much mint making them basically inedible. My wife found mushy peas while we were in the UK and loves them ... she was completely turned off by what was served to us. If I'm complaining about peas you should be understanding that the overall visit was really good.